A new survey shows about one in 10 of us will be running around in chest tattoos, hot pants, and Manic Panic hair dyes this Halloween. God help us all. 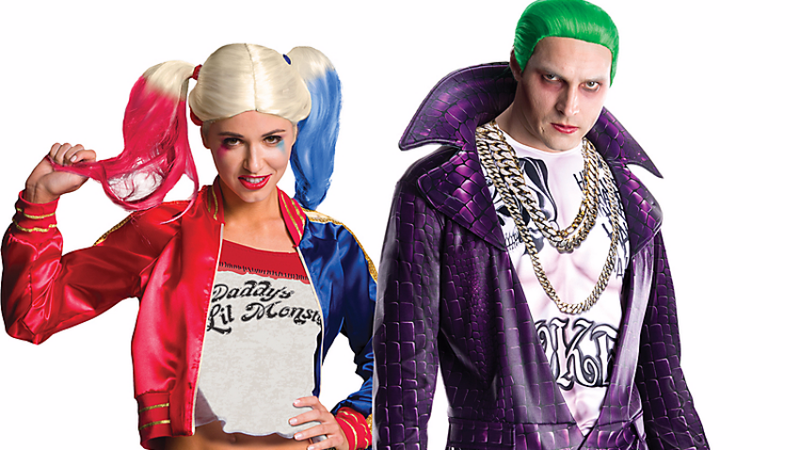 The National Retail Foundation released its annual survey of most popular costumes for Halloween, and Batman characters are the number-one pick for 18 to 34-year-olds this year. According to the survey, about 9-percent of millennials will be donning the cape as The Batfleck, or (more likely) grabbing some knives or a wooden bat to cosplay as the destructive pop-punk duo. Harley Quinn, in particular, is one of the most requested Halloween costumes for women this year. In an interview with Time, retailers said they’re having trouble keeping Harley Quinn costumes, wigs, and accessories on the shelves. “At least once a day we’re selling Harley Quinn costumes, and it’s not even October yet,” Riley Walsh, a sales associate at New York Costumers, told Time earlier this week. In general, superhero costumes have surged in popularity for both kids and adults, dethroning the Princess costume to become the most popular kids’ outfit this year. DC is the clear winner, with many of its comic book and movie characters doing better than Marvel’s roster. Rivalries aside, superheroes as a whole are way outperforming Star Wars character costumes, even after the massive success of The Force Awakens and anticipation for Rogue One. The DC costumes have come with a few issues. Some of the Jared Leto-style Joker costumes feature a “white skin” shirt that some have criticized as dressing in a skin color, like the controversial Moana costume that Disney recently pulled. In addition, store retailers say some young girls are buying extra-small versions of Margot Robbie’s ensemble for themselves since it’s not made in kids’ sizes. There’s a reason it’s only made for adult women—it’s an adult’s costume.